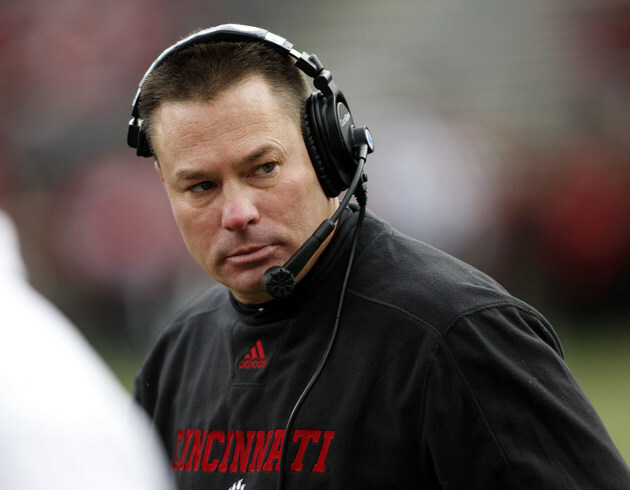 Butch Jones is Tennessee's new coach, and he's going to have a lot to prove. When the Volunteers' coaching search started, fans' wish list started with "JON GRUDEN" in 120-point type written over and over. When Gruden said no, the wish list became pretty much every big name in college football that wasn't 100 percent committed to their school -- and even some who were. Jones will be introduced Thursday as Tennessee's new coach. The Cincinnati coach wasn't the first choice. Or the second, or the third. When Mike Gundy and Charlie Strong publicly turned down Tennessee, the Volunteers had to get realistic about their search. And looking at a guy who flew out to Colorado to interview with a moribund Buffaloes program -- and was even reported to have accepted the job -- probably isn't going to cause a lot of excitement in Knoxville. Here's a timeline of the coaching search by VolQuest.com, which broke news of Jones' hiring. That doesn't mean Jones won't be a very effective coach. He has good credentials. Jones has a 50-27 record as a head coach. He was successful at Central Michigan, and did a nice job replacing Brian Kelly at Cincinnati. He was Big East Coach of the Year in 2011. He has won at least a share of a conference championship four times in six seasons. He doesn't have experience in the SEC, but he is a pretty good coach. Whether Volunteers fans have the patience to let Jones prove it remains to be seen. Got a tip for Dr. Saturday? Email us at dr.saturday@ymail.com . You can also connect with us via Twitter @YahooDrSaturday and be sure to "Like" Dr. Saturday on Facebook for football conversations and stuff you won't see on the blog.